Does Your Backup Need Its Own Backup? You never know when you will go to turn on your computer and hear a “click, click, click” of the hard drive and nothing happens. But, computers are not the only devices at risk of failure. Your smartphone or tablet could also fail at any time from being dropped or some other type of malfunction. Even though people have numerous options available to back up their data, there are still many who do not. In addition, there are different types of data backup methods and using the right ones are equally important. Depending on which ones you use, your backup might need its own backup, too. Two-way data syncing is what people are most familiar with because it is available on most “smart” devices. This type of backup allows you to select what types of files you want to upload to the Cloud. You can also access your “backup” files from other devices and re-synch with the Cloud to always have the latest versions. However, if you delete or move data from the device, it is also removed from the Cloud. On the other hand, an actual backup is a “one-way” data sync of your important files to an external location, like the Cloud. It keeps all the original versions in case you should need to recover them. Certain Cloud-based data storage services will automatically delete your files and data after a period of inactivity. Two of the most notorious ones are Dropbox and Android. Dropbox will at least send you an email ahead of time giving you time to either move the data or “reactivate” your Dropbox account. Android, on the other hand, does not send out notices. Some people have discovered their data backup has been deleted after just two weeks of inactivity! If you use these types of services, your backup really needs its own backup just to be safe. 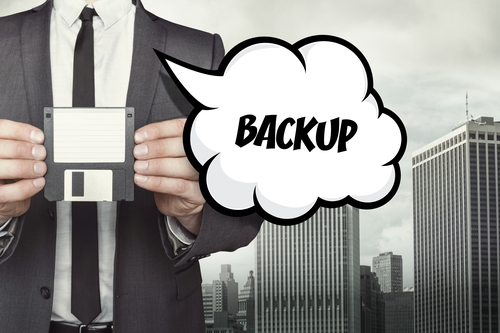 The easiest way to create a backup of your backup is to use multiple backup methods. For instance, you could use Cloud-based data storage and a one-way data sync for your first backup. For the second one, you could back the same data up to an external data storage device, such as a USB jump drive or compact personal portable storage drive. It really is a matter of personal preferences and which backup methods are the easiest for you. Just remember, some of these might have an expiration date for inactivity, so always check with the provider to find out how long data is kept. In the event you did not backup your data or your backup data was deleted, it might still be possible to recover data from a non-working device with our professional data recovery services. 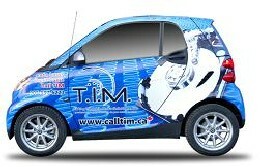 Please feel free to contact Taking It Mobile at 888.877.5002 (1-888-Call-TIM) for further details and assistance today!